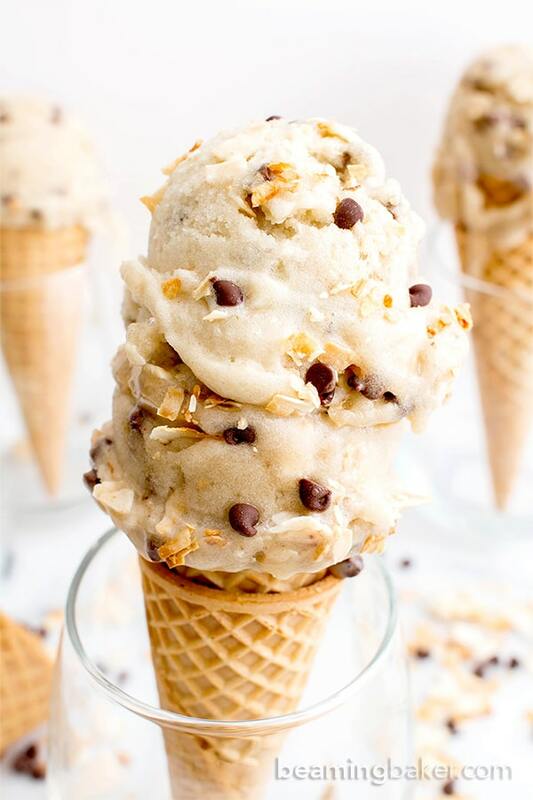 Toasted Coconut Chocolate Chip Nice Cream (V+GF): a 5 ingredient recipe for deliciously creamy vegan ice cream, exploding with coconut and chocolate chips. 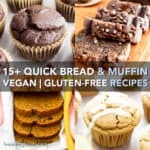 Vegan, Dairy Free, Gluten Free. Oh, what is the summer without ice cream? Without popsicles? Just no fun at all, at least in my family. Yup, we’re big eaters of all the delicious things. Everyone in my family LOVES coconut and chocolate. But when they find both of those ingredients in a recipe, their coconut chocolate love goes into overdrive. For years, we’ve marveled at the wondrous frozen creations that we’ve enjoyed on family vacations: rose water ice cream, chocolate pistachio pudding, caramel chai popsicles, and more. 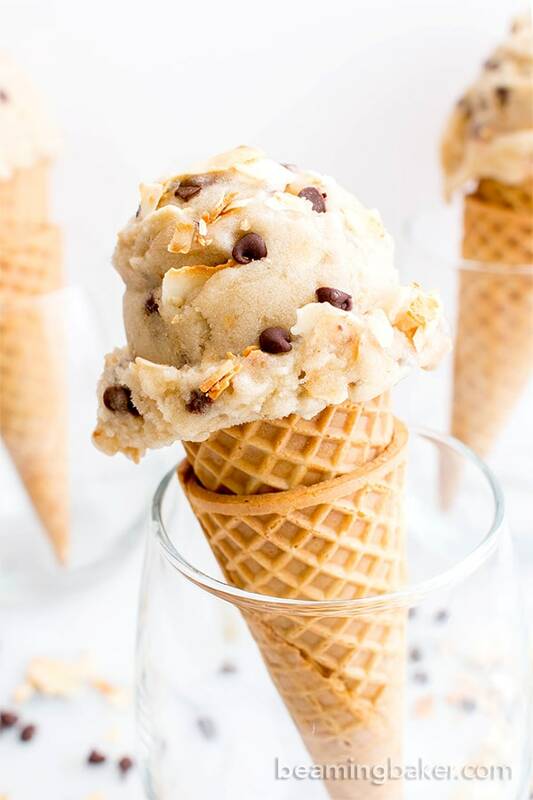 One of my family’s favorites has always been the kinda-hard-to-find, but absolutely-worth-the-hunt coconut chocolate chip ice cream (see: overdrive notes). So when I had one big–okaaaaay, three big bags of coconut flakes lying around, inspiration (or more likely, hunger) hit me: it was time to do this, vegan nice cream style. If you’ve never heard of nice cream, you can check out this post to read all about it. Nice cream is pretty much the super-fantastic, healthy, vegan substitute for ice cream. It’s made of bananas (shoutout to banana lovers!) and very easy to make. Working off of my dark chocolate nice cream recipe, I dialed the cocoa powder all the way down (like, back into its container in the cupboard), added in coconut, chocolate chips, then reworked the recipe to be even coconutty-er and chocolatey-er. Yup, I even had to make up awesomer words in the process. This included the word awesomer. Soon thereafter, that special, super magical thing happened—the bananas turned into nice cream. NIIIIICE. Sorry, I could not help myself. I added in the toasted coconut, mini chocolate chips and blended. Then, I went ahead and added more coconut and more chocolate chips. Later that evening, and for the rest of the week, Erik and I enjoyed the most delightful summer treat of a double scoop of toasted coconut chocolate chip nice cream. Double NICE. Won’t you join us? 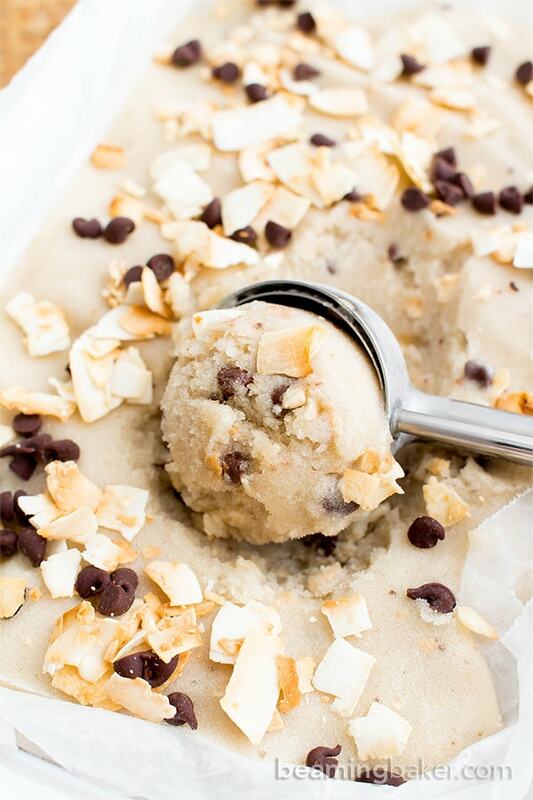 Whip up this super easy, 5 ingredient toasted coconut chocolate chip nice cream. Call off of work early, take a long lunch, or start planning your summer vacation. Or, sit down to a nice, long Netflix-marathon with two big scoops of this nice cream. It’s time to get our summer on! Bring a skillet to medium heat. Add coconut. Stir until lightly browned and fragrant. This will take 3-5 minutes. Pour onto a plate and place in the freezer to cool. In the meantime, add bananas to a blender or food processor. Blend until you get a crumbly texture. Add maple syrup and vanilla. Blend until smooth and creamy, scraping down the sides of the blender as necessary. This will take a few minutes. Add coconut and chocolate chips to blender. Pulse just a few times to incorporate. If you like soft ice cream, enjoy immediately. If you want your ice cream firm and scoopable: pour into a freezer-friendly, airtight container. Freeze for 4-6 hours, or until completely frozen. Allow to thaw for 5-15 minutes before scooping. Enjoy! - Store in an airtight container in the freezer for up to 1 week. Before serving, allow to thaw for 5-15 minutes. Scoop and enjoy! 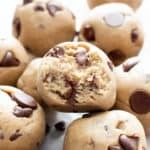 - For more chocolate recipes (all v+gf), try chocolate nice cream or cookie dough cups. - More frozen dessert deliciousness (all v+gf): blueberry coconut popsicles, strawberry chia seed popsicles, chocolate pb popsicles, chocolate pb smoothies. Craving some serious chocolate dessert? Try my Dark Chocolate Nice Cream (Vegan, Dairy Free, Gluten Free). Instant chocolate bliss. Blueberries taste even better with coconut, dontcha think? Try my Vegan Blueberry Coconut Popsicles (Vegan, Dairy Free, Gluten Free). 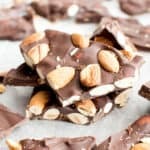 Just in case you’re in the mood for some Almond Joy YUM, try my amazingly dairy-free Paleo Vegan Almond Joy Ice Cream! 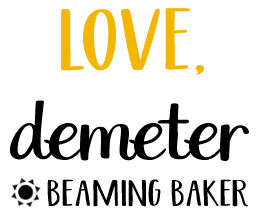 You are on a roll with your nice cream, Demeter! This looks fantastic! I love summer because it just seems more acceptable to eat ALL of the ice cream that I can get my hands on. But when it’s healthier, like this, I feel good about eating it. 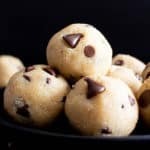 I love the chunks of chocolate chips in here, too. Such a perfect combination, especially for a Monday! Pinned, of course! We all love coconut and chocolate in our family too! And the fact that there’s only 5 ingredients in here. How yummy and refreshing with all this hot weather we are having. 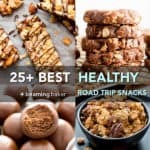 Loving your pics for this post!! Coconut and chocolate are just a match made in heaven. 🙂 Thanks Laura! Hope you have an awesome week! 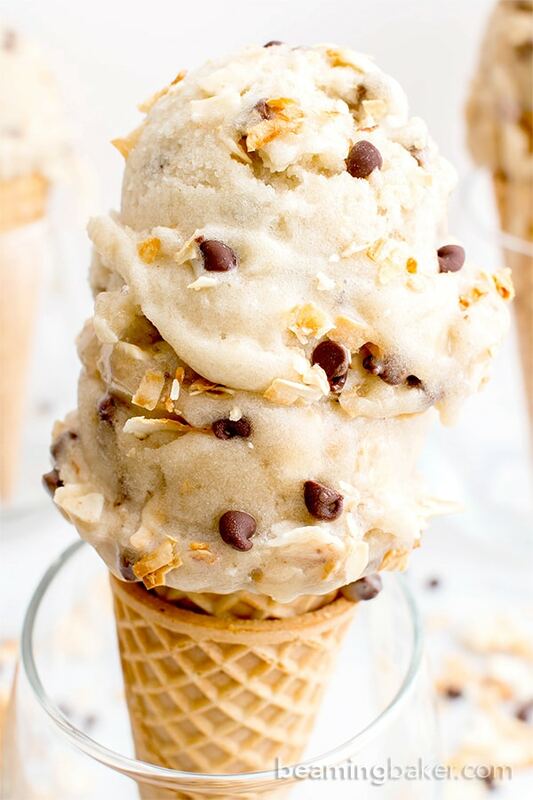 Toasted coconut and chocolate banana ice cream… ups nice cream 😉 LOVE IT! Perfect combo. It looks delicious and really refreshing. 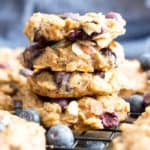 I just love healthy refreshing desserts like this one in which we can enjoy without feeling any guilt. Isn’t that great or what!? 😀 Thanks for sharing. Hahaha! Even though I am a huge fan of all things cocoa powder, I sure am glad you “dialed the cocoa powder all the way down (like, back into its container in the cupboard)” for this – because WOW – Demeter, this is one heck of a flavor packed nice cream! 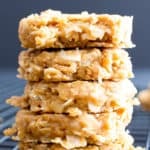 I am all too familiar with the hevenly smell of toasted coconut – nothing quite like it – my mom used to make it most weekends to add to just about everything – but, I haven’t had it with nice cream yet! 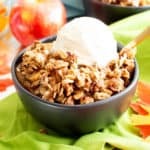 I’d be hovering like Erik over this “coconutty-er and chocolatey-er” nice cream – fantastic recipe! Happy Monday friend! You did it again, Demeter, you just made another amazing nice cream! With toasted coconut! I have to say, Erik was right 😉 . I love toasted coconut, too!! So perfect with the chocolate chips. Pinned, of course 🙂 . Love this healthier ice cream! Looks gorgeous and the flavors are amazing! Pinned! Love this! I’ve been coming around to trying more things with banana in them and I think I could make room for this tasty treat 🙂 or your chocolate nice cream! I’ve been doing some freelance work and wrote about non-dairy ice creams – apparently coconut milk is supposed to make an out-of-this world creamy non-dairy ice cream. I’ll let you know if I ever give that a try 🙂 it might actually give me an excuse to justify buying an ice cream maker. 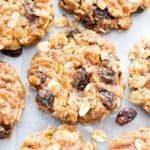 I love that this recipe is food processor/blender friendly! Banana is such a wonderful ingredient! It sweetens everything up in the tastiest manner! 🙂 Oh yes, coconut milk makes vegan ice cream especially delish! Any excuse to buy an ice cream maker is a great excuse, imo. Thanks Jessica! And yes, score for Erik for sure, toasted coconuts are the best!!! Completely agreed! 🙂 Thanks Kushi! Oh wow, this is incredible. Who can resist banana and coconut?? Three big bags of coconut flakes?!? Oh my gosh! Send one my way 😉 We’ve been experiencing a flake shortage – so forget blueberry envy I’m having major coconut envy! I have to get my lazy bum over to the store to get some flakes (I hope traditional TEB coconut burning doesn’t happen, but if it does, I’ll just try again because I have to get my hands on one of these glorious cones! Awesome blossom! Yeah, I just said that. Lol. Thanks so much Karrie! Can’t wait to see ya! 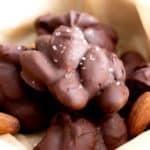 This looks so delicious, I really like chocolate and coconut together! This looks like the perfect frozen treat! Can’t wait to try this recipe out! This look fantastic! It’s 5 degrees right now but I’m making this for dessert tonight! But how much coconut cream did you uses? Hi Annie! Thank you! This recipe actually doesn’t use any coconut cream. 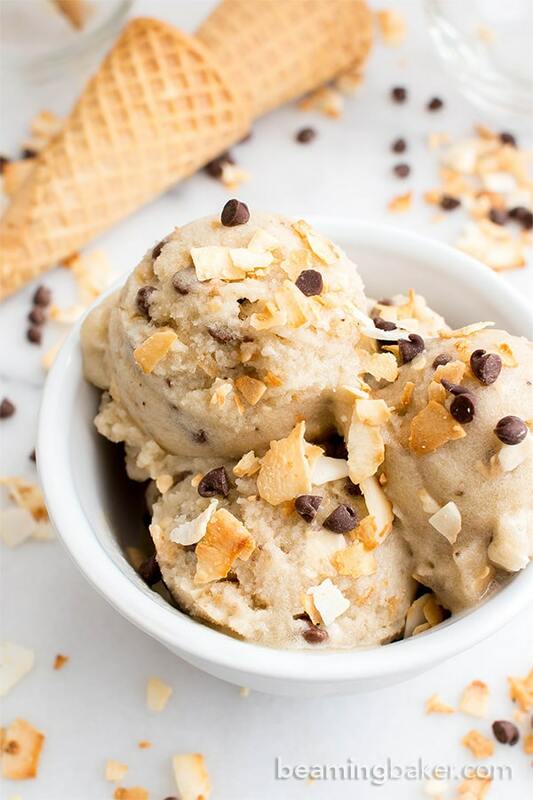 You might be thinking of this recipe: https://beamingbaker.com/coconut-chocolate-chip-vegan-ice-cream-paleo-v-gf-dairy-free/ Enjoy! Hi Kristy, sorry for the confusion! That’s a video for another recipe: Coconut Chocolate Chip Vegan Ice Cream. Enjoy! This looks delicious. I’m going to try making it but have one question. In the video it shows you adding coconut cream yet the recipe doesn’t have it listed…did you make a change to the recipe? Also, the video shows melted chocolate rather than chocolate chips. Any hints or suggestions would be greatly appreciated! Hi Jan, my apologies for the confusion! The video is for a different recipe: Coconut Chocolate Chip Vegan Ice Cream. Click on that link for the recipe. I’ll clarify that. 😉 Enjoy!